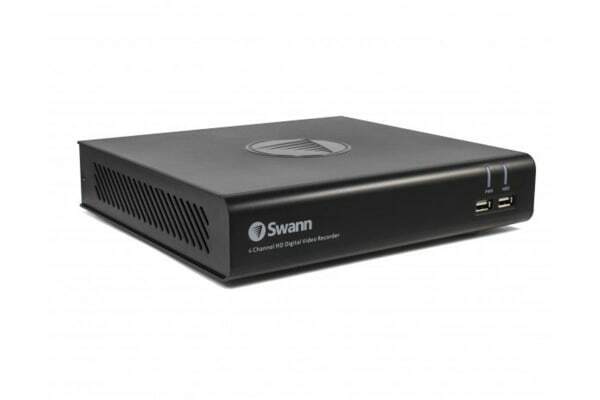 The Swann 4 Channel Security System uses Swann’s True Detect PIR Thermal Sensing technology to reliably detect heat-generating moving objects, such as people, large pets and cars. You’ll always know what’s happening with Swann’s surveillance technology. The 1080p live and recorded video is 4.5x better than the DVD quality (480p) used in most DIY home security systems. 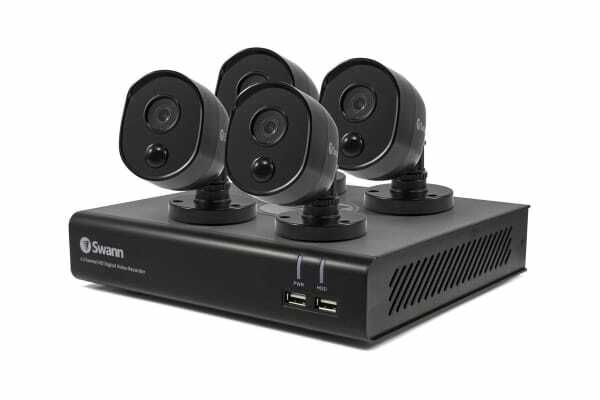 The 4 security cameras come with BNC cables and are weatherproof, built tough for the outdoors or indoors. See in the dark up to 30 metres with the camera’s powerful infrared night vision. 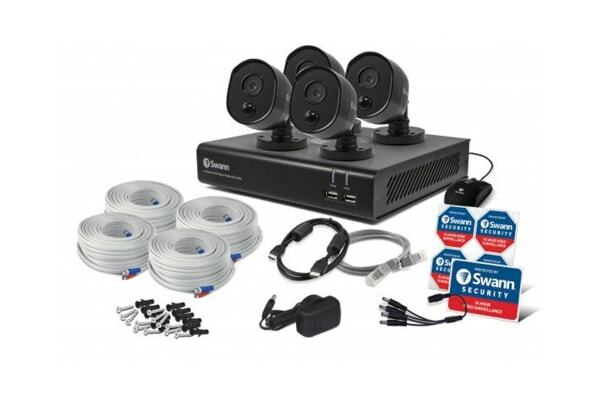 This CCTV system is ideal for small homes and businesses.